Some of these items are available in our online store, but then there are the one of a kind items, the limited runs, and the special pieces that never make it to there. Feel free to ask if you see something you like! The Green Fairy backpack flask! Holds about a gallon of whatever you want. This one is sold, but I can make something similar for $250. Ahdragha is a 13 foot long leather and cloth sculpture. Truly one of a kind, but similar pieces can be made. $8500 for this stunning dragon. 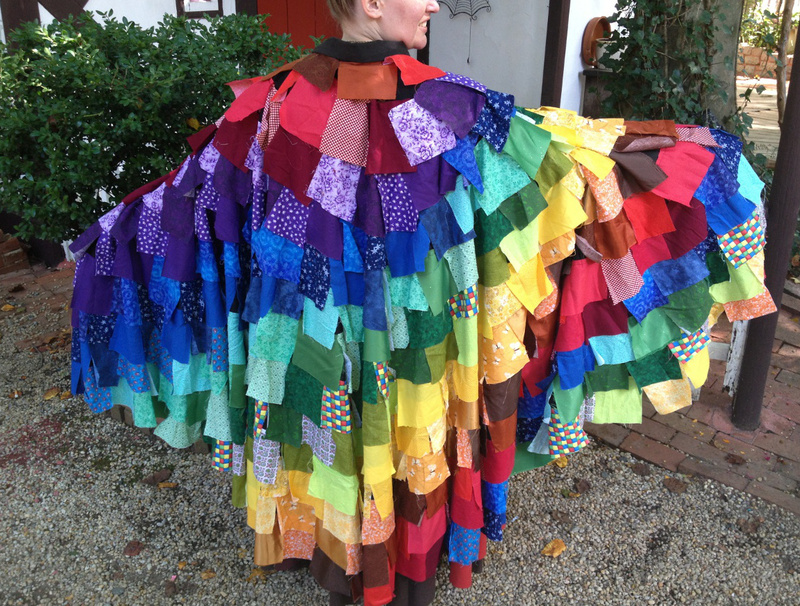 Gleeman’s Cloak. This one is mine, but I can make another for $300. 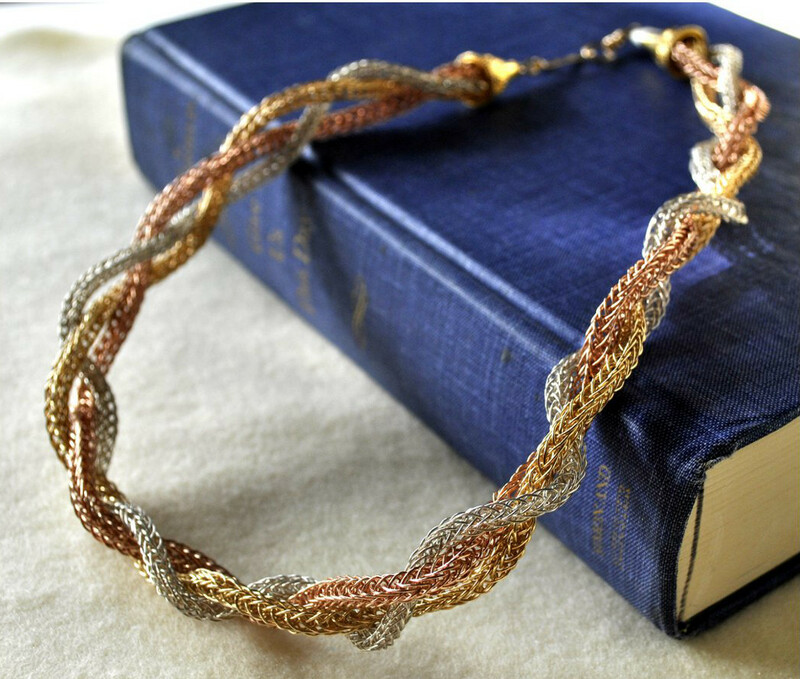 Three strands of braided viking knit in gold fill, silver, and rose gold filled wire.